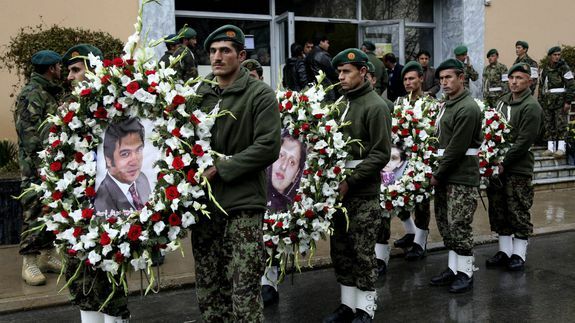 Journalist Deaths Highlight Deteriorating Security in Afghanistan - trendistic.com: ever tried. ever failed. no matter. try again. fail again. fail better. Ahmad, his wife and two of his children were gunned down on Friday when four men with concealed handguns gained access to the Serena Hotel on the eve of the Persian new year. His infant son remains in critical condition with “several bullet wounds,” according to the Associated Press.